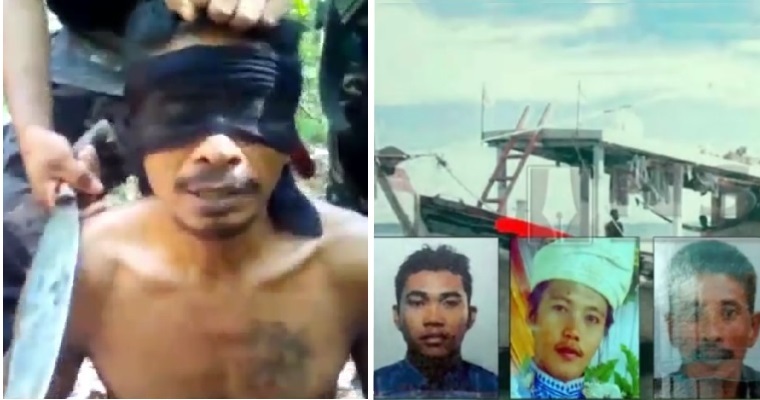 In a shocking video posted on Facebook by user Kim Hundun on Valentine’s Day (14 Feb), it was revealed that Abu Sayyaf, the infamous ISIS offshoot, has captured a trio of prisoners – one Malaysian and two Indonesians. The prisoners were identified as Indonesians Heri Ardiansyah (19) and Hariadin (45) along with Malaysian hostage Jari Abdulla (24). The terrorists have released a video with their message, The Star reported. 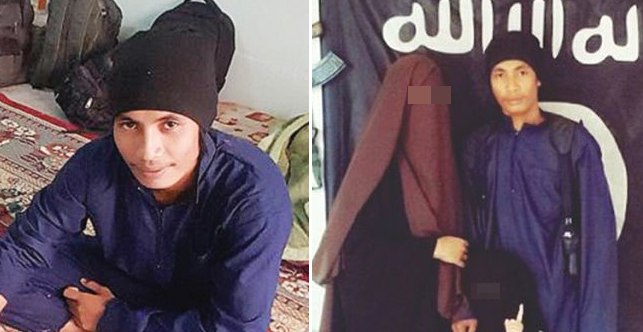 The chilling video shows the two Indonesian prisoners on their knees and blindfolded in typical ISIS fashion, where the captive speaker standing behind them holds a blade to their throat. The speaker pleads to the Indonesian president to rescue them, giving the name of an Indonesian negotiator for ransom discussions to begin. The kidnappers have made it clear that without ransom, the prisoners will be beheaded. Worryingly, the Malaysian prisoner is nowhere to be seen in the video. This video was released a few days after Jari’s wife Nadin Junianti Abdullah was contacted by the Abu Sayyaf terrorists at around 7pm on February 11. They complained that they have received no contact at all from Malaysian authorities to organise Jari’s release. The spokesman, in broken BM, said that Jari would face “difficulties” if there was still no word from Malaysian negotiators. They also requested for telephone contacts of Malaysian journalists. Nadin has since urged Malaysian authorities to take action and save her husband. On December 6, the captives’ empty boat was found with its engine still running in the waters of Sandakan, Sabah. The three fishermen were reported missing at first, and now it would seem that the worst has been realised. Although ISIS has been in decline the past few years, their evil still rears its ugly head in Southeast Asia in the form of Abu Sayyaf. Based in the Jolo and Basilan islands of the Philippines, the violent terrorists have conducted several attacks including the latest Jolo Cathedral bombings. Sabah Police Commissioner Datuk Omar Mammah has announced that they are cooperating with Filipino authorities to help secure the hostages’ safe release. Oh dear! We hope the men will be rescued quickly and that their families can remain patient during this difficult time.